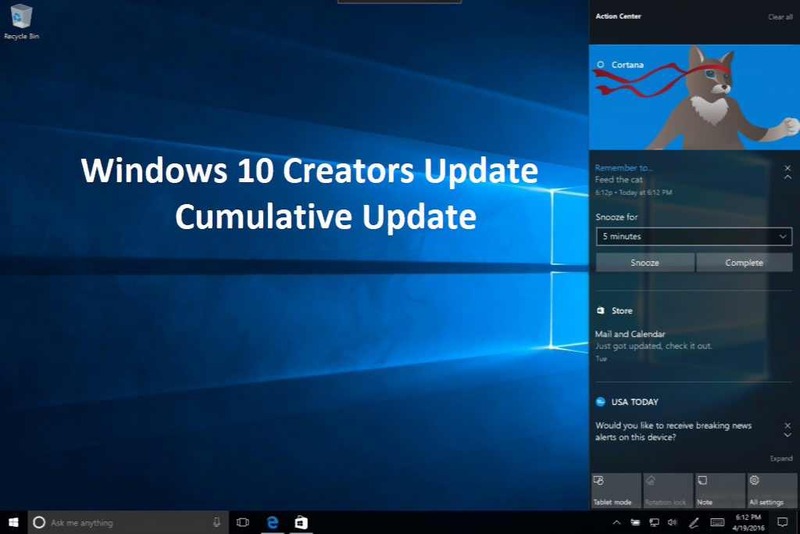 Microsoft is now rolling out new Windows 10 update KB4022716 Build 15063.447 for Creators update users. The update includes bug fixes and other system improvements. Previously, the company released update KB4022725 Build 15063.413. However, the update was released with a known issue. When user print a specific iframe or frame in a web page, the print output may be blank, or text is printed that resembles 404 – Not Found. A new cumulative update for Windows 10 Version 1703 for x64-based Systems (KB4022716) will pop up in your Windows Update. Cumulative updates include improvements to enhance the functionality of the application, programs on Windows Operating system. Check out more details about the latest update below. Windows 10 update KB4022716 Build 15063.447 addressed issue that causes high memory usage for the Camera app on mobile platforms, which reduces battery life. Any app that uses a media capture element (MCE) or media element (ME) and plays 1080p will consume a lot of power, which will significantly reduce battery life. Windows 10 update KB4022716 Build 15063.447 addressed issue where a remote desktop connection with Windows 2016 RDS server fails authentication when using smartcards. Windows 10 update KB4022716 Build 15063.447 addressed issue where searching for a string on a page that has many iframes causes Internet Explorer to stop working. Windows 10 update KB4022716 Build 15063.447 addressed issue to improve Bluetooth connectivity to wearable devices. Windows 10 update KB4022716 Build 15063.447 addressed issue with NVIDIA drivers that stop working (Error 0x9f) when the system goes to sleep. This also causes a shutdown of Microsoft Surface Hubs. Windows 10 update KB4022716 Build 15063.447 addressed issue that lead to the loss of functionality on certain third-party network adapters after upgrading to Windows 10 Version 1703.